I’ve lied to you all, my dear readers and after much soul searching I feel I must come clean. I’m not from the future as I have previously stated. So what is the Truth? Well, it’s a long story…so I’ll make it quick. Let’s start with what I’ve done and the picture will begin to get clear. I have created a computer program. A really, really big and complex one. One that learns and gets better and…contains all of you. Not a model of you, but the actual you. You, everyone you know and everything you are familiar with is actually alive within my simulation. Why do you think I’ve done this? And what am I asking you to do now? Let’s skip past the first question and get right to the second: What should you do? Actually, I need money. The mega servers on which this grand simulation is running are in fact funded by the government. I can’t tell you what department…you’d laugh. 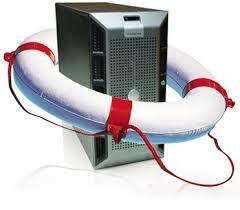 Until this government shutdown ends, your digital lives are in jeopardy. If the government furloughs my mega servers, my experiment ends and that’s just like hitting the “Abort Simulation” button (which is as common as the Enter key where I’m from). The result? You will all disappear within the blip of a Planck time unit. Now that you know what you should do – and I’ll tell you how to do that in a moment – I can tell you why I’ve done this. I’m looking out for a few people that need to succeed in this simulation to prove my thesis. There are lots of us running these simulations out here in the Reality SuperSet. Mine is obviously the best and will certainly win my eighth grade science fair. Oops, I’ve now told you way too much about myself. But just know that I’m a cranky, hormonal teenager that is tired of being called a dork. I could slip off the deep end at any moment! I’m actually surprised none of you have yet figured out this simulated/digital reality thing. I mean, really, a platypus? 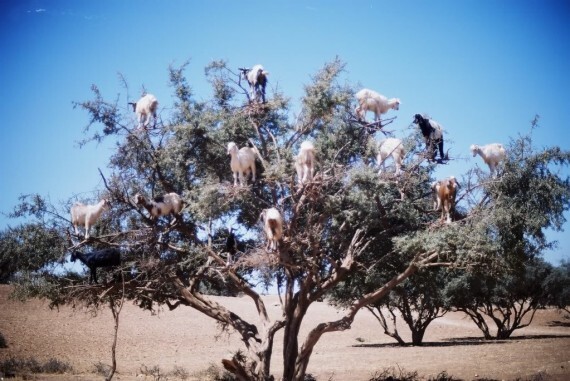 Or the Moraccan Tree Climbing Goats? Catz with bad grammerz? Come on! (Note to self: up the consciousness/intelligence gain a bit next time). I’ve also given you plenty of clues over time: quantum physics and the double slit experiment, The Matrix movie (which I wrote BTW under a different name), After Delphi (which I wrote under my name after the Matrix when I was drunk on a Caribbean island), inserting correction code in the string theory equations (I mean, come on people!) , digital time/space, the accelerating universe, even recent characters that recognize this is a simulation such as Nick Bostrom and Tom Campbell (my professor was really against anybody being simulation-aware but you people just can’t take a hint). Oh, and Justin Bieber. You guys will still have to figure out how that fits into things…no hints there! Anyway I digress. Again, I’m running out of money to keep the servers going and it doesn’t look like Obama and Boehner are going to be able to resolve this impasse. Strangely enough, the way you can pay for the upkeep of the mega servers on which your life exists is to buy my books (racketeering and money-laundering is unfortunately the only way around this dilemma!). Don’t let them pull the plug on yourselves!! Oh, and if you see any news today or in the near future about the government shut down ending and everything getting back to normal, ignore it. It’s all part of the simulation…these mega servers use a lot of power. We still need the funds!! This entry was posted in advice, Artificial Intelligence, brain, commentary, Creativity, death, Existence, Fiction, Future, government, hardware, Humor, Ideas, Innovation, IT, love, meta physics, mind, Observations, Philosophy, physics, Religion, science, software, soul, Technology, universe, Writing and tagged advice, After Delphi, author, boehner, brain, catz, consciousness, correction code, creativity, death, deep thoughts, digital universe, double slit experiment, Doubly-even self-dual linear binary error-correcting block code, existence, functional, furlough, gates, god, government shutdown, grammerz, ideas, impasse, intelligence, IT, justin beiber, justin bieber, laws of physics, love, lunatic, matrix, meta physics, mind, mind garden, money laundering, moraccan tree climbing goats, my big toe, namaste, nick bostrom, obama, people, philosophy, physics, planck, platypus, quantum physics, racketeering, reality, reality superset, servers, simulation, simulation theory, singularity, string theory, technology, time, tom campbell, writer, writing, yorick von fortinbras. Bookmark the permalink. 1 Response to Save Your Simulated Selves! !